I love the product. Keeps me healthy and the longer I use it the more benefits I see. Thanks. I’ve been on Siaga for about 3 weeks or so and have nothing but good to say about what I feel about it. I sleep much better now. I fought off a “strep sinus” condition with ShopFreeMart Siaga and Silver products….in one day! I will keep this as a part of my wellness program!!! Love it!! I have been using shiaqga for a little over a week now, and already I’ve noticed a boost in my energy level, and my mental clarity and ability to refocus has been “awesome”. I had labs taken the end of January and my triglycerides and Ac1 count was a little high. I will retakes these labs again in June and can’t wait to see the results (scientifically). Thanks for this amazing product. Since I have been taking Siaga, I have noticed I am sleeping more soundly, I require less sleep and I have more energy. It really gives me a boost and I love the taste. I will be taking this forever. I love the fact that it is in liquid form, which gets gets into the body quicker. I started taking Siaga on January 6 hoping to boost my immune system after being exposed to a friend suffering from pneumonia. I was not expecting anything other than preventing my respiratory problem from getting worse. I do not like taking drugs. Siaga definitely diminished the severity of my symptoms and pneumonia did not materialize. To my surprise, on the fourth day on Siaga, I noticed that the lower back pain I’ve been battling since 2006 was gone! For years I tried a number of modalities and natural pain products but the ongoing pain/discomfort never went away. I can only attribute this pain-free miracle to Siaga. Thank you so much ShopFreeMart! The powerful SIAGA! this product is simply amazing. My brother has diabetes and has been on insulin and glucose medications for many years only to continue seeing high blood sugar levels (180). Once I introduced him to siaga, to his excitement his blood sugar levels have been averaging around 118. So thank you SHOPFREEMART!! my uncle and farther-in-law also have diabetes. Can’t wait for them to experience the healing. I love the Siaga! I am a diabetic and was taking 2000mg of Metforman per day. Since I started taking Siaga, within 2 days I was totally off of Netforman. My blood sugar is now perfect! This product is amazing!!! I damaged my shoulder 2 years ago in a bad fall and broke a rib also. I could not lift my arm over my head for over a year and a half. I don’t go to doctors and I tried some other products, but none of them helped. In the middle of January when we got a chance to sample these new products, I ordered the ShopFreeMart Siaga, the Magnesium Plus, and the Gold Plus. We got them on a Wednesday and started taking them right away. On Saturday morning (only three days), I was surprised to see that I could lift my arm with no pain at ALL. The pain was all gone. Now, 2 months later, the pain is still gone and the ringing in my ears is almost gone too. This is a Miracle from above. I have taken Chaga mushroom capsules for years and am looking forward to taking the new Siaga liquid. I want to feel the beautiful Sensations that you are all feeling. Three years ago this coming July, I fell and broke my right ankle so bad that my foot hung off to the side. It took surgery, a plate and several screws to put my ankle back together. I was also told by the surgeon that I had soft bones. Three months in a wheel chair and two more months in a special boot using a knee scooter later, I was finally able to stand for short periods of time. Since that time (almost 3 years), I still walked with a limp and had pain in my left hip and leg even at night when trying to sleep. Also, I have arthritis in my forefinger and middle finger on my right hand, and over the past 6 months this has also become a problem and source of great pain in first my right thumb and then my left thumb, which meant I could no long crochet, something I enjoy doing. For the past 3 years with the advice of the surgeon and friends I started taking Glucosamine, Calcium, D3, and K2, nutritional supplements that are supposed to help strengthen bones. These may have helped, but the fact remained, I still walked with a limp, and still had pain in my left leg, and pain from arthritis continued to increase. The sad thing is at age 61 pain and discomfort seemed to becoming a normal thing. 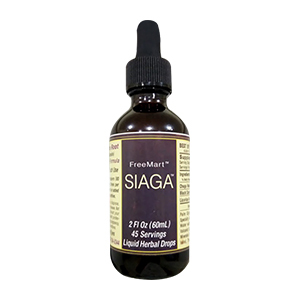 A month ago I ordered two of the ShopFreeMart products, Magnesium and Siaga. After taking them for just one month in addition to what I was already doing, I am now walking for 30 minutes daily with my husband and not limping, and no more pain in my left leg or hip, or my thumbs and fingers. I will continue taking these products and I just wanted to share my story in hopes of helping someone else. I returned form China where I was teaching English. When I came back I suffered from insomnia and I was waking up several times. My ShopFreeMart Siaga arrived and just the second time I took it, I slept peacefully throughout the night. I highly recommend this product. My husband was raised on a large farm and has always work hard; sun-up to sun-down – or until the job is done. He has been an electrical installer for a communication company for 18 years; and for the last 16 years I have watched him try to control his pain and discomfort with alcohol. He has been diagnosed with fibromyalgia, arthritis and circulatory disorder. Pharmaceuticals side effects where not an option they where more dangerous than the discomfort and pain. Years of practicing with supplements, ointments, juices and therapy help to a degree. The issues he was experiencing or course was getting worse and was not familiar with any of the professional we where consulting with. He was experiencing electrical shock type of twinges in his legs and sometimes in his arms. Little did we know about how important the body Ions are and how important it is to remove the excessive positive Ions. He started taking nightly detox baths and taking Siaga am and pm about 10 days before returning to work out of town. Praise God for ShopFreeMart and the education we are getting; to live a life free of pain. My husband was drinking a half gallon of whiskey a week and not getting drunk because the pain was so severe. I am happy to tell you that he has worked 19 days and 187 hours since he went to work April 16th. He has been faithful to take the “funny named stuff” because he is without severe pain and has had the strength in his arms and legs and has NOT had any DT’s. Is it a miracle yes! Poison not good! It causes disease in our body, creating pain and inflammation. Who knew? Now we do and we give our bodies a living chance. You do not have to believe – for it to work, it will – work even if you do not. It’s that good! Siaga is a wonderful product! I’ve been using the product for only 6 days. 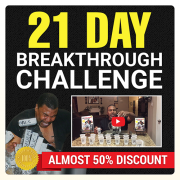 I have seen much improvement in back pain, shoulder pain, and a spasm in my left leg I use to have daily upon rising. I have been without the leg spasms since the first night. Praise the Lord indeed! I am almost pain free. Along with Siaga I am taking the hydration drops, Pure Gold, and Activate. I highly recommend these products base on my own results. Be blessed.